Chicago, Illinois -- Overland Park, Kansas native CeCe Kizer worked hard to get to this moment and now she finally gets to live the dream of becoming a professional soccer player. Kansas players in the NWSL is no surprise but it is something that we should all recognize and share as we compete to show the nation how great our soccer players can be in the Sunflower State. CeCe becomes the 13th player from a Kansas youth soccer club and 7th ever Kansas born player drafted in the NWSL. 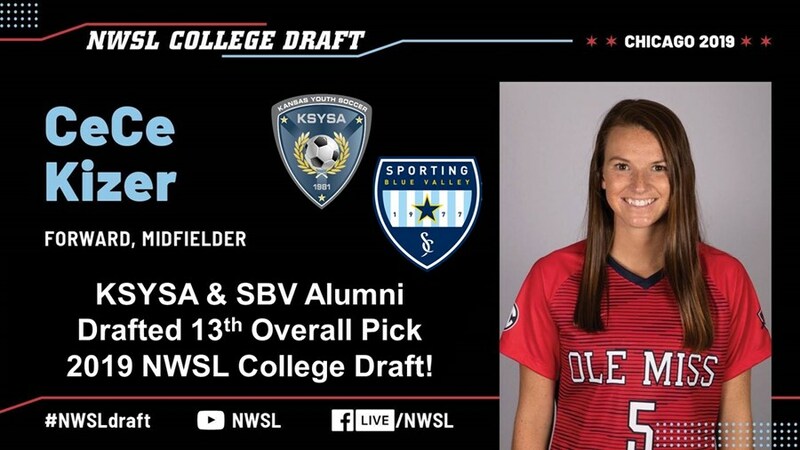 She was the 2nd Kansas player in the 2019 NWSL Draft just after Dorian Bailey who went to the Washington Spirit. "We are so happy for CeCe," said Ole Miss head coach Matt Mott. "She has been a great player for us the past 4 years. She is ready to become a professional soccer player and I think big things are ahead for her in Houston. The Dash just gained a great fan base in Rebel Nation." The Houston Dash are getting one of the most prolific players college soccer, men’s or women’s has seen in recent history. Kizer scored 48 goals in her Ole Miss career to set and now holds the school-record for career scoring. A distributor of the ball as well, CeCe has 23 career assists which puts her third all-time at Ole Miss, giving her a record 119 career points. A consistent producer throughout her career, Kizer owns three of the top-nine goal scoring seasons in Rebel history. "It was just a relief (to be selected)," she said. "I was super anxious but I'm really excited. I was hoping to join a great team and Houston is a club that I've heard really good things about. I know a few players there, so I'm really excited to get the "H-Town and do my thing." Congratulations CeCe Kizer! We can't wait to see what you can do in the NWSL with the Houston Dash! CLICK HERE FOR THE VIDEO MOMENT OF WHEN CECE WAS DRAFTED AND CELEBRATED WITH HER AMAZING FAMILY SUPPORTING HER! 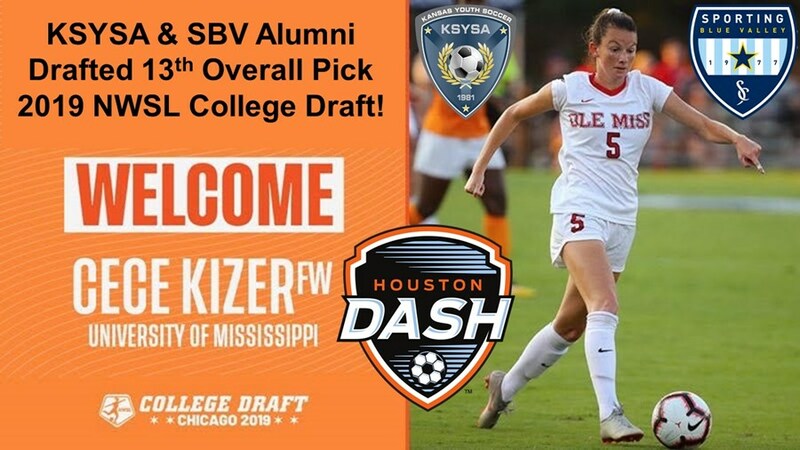 Exclusive Interview with CeCe Kizer right after she got drafted to the Houston Dash!